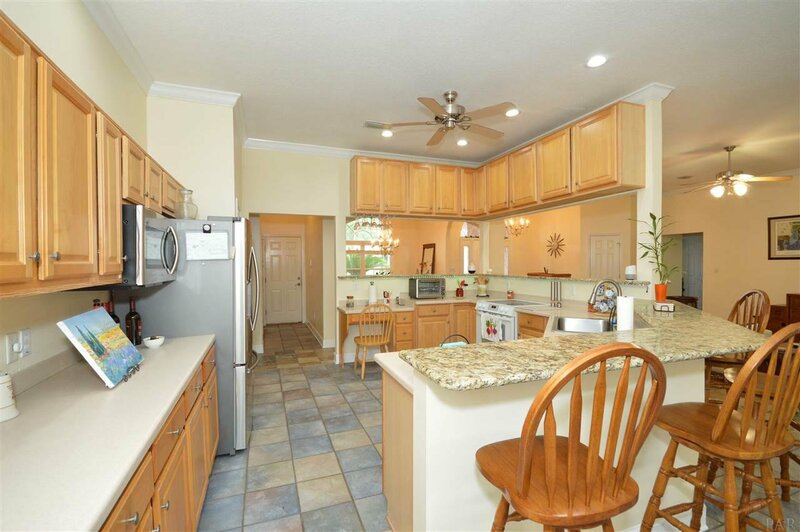 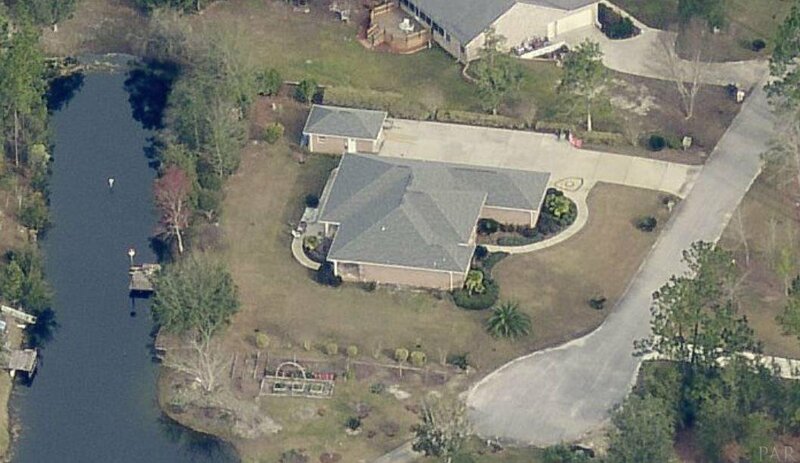 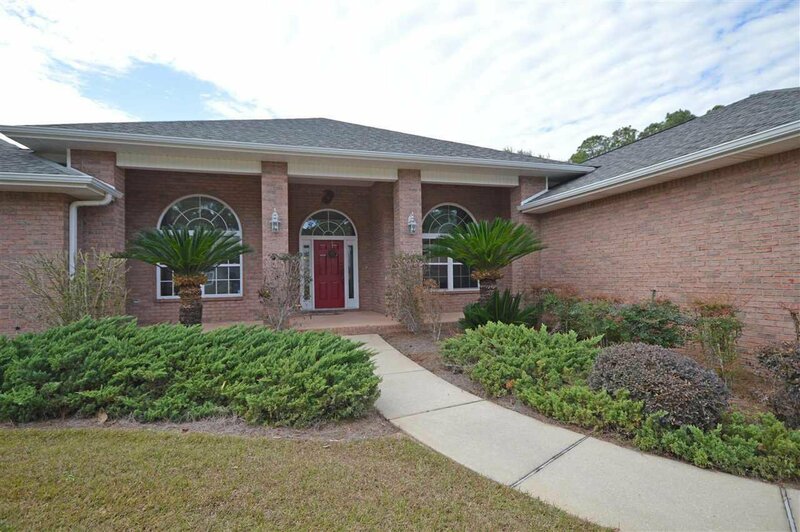 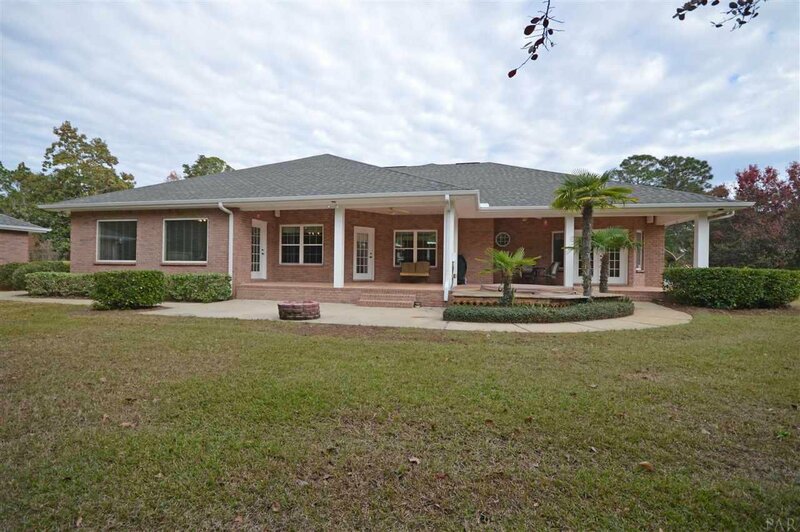 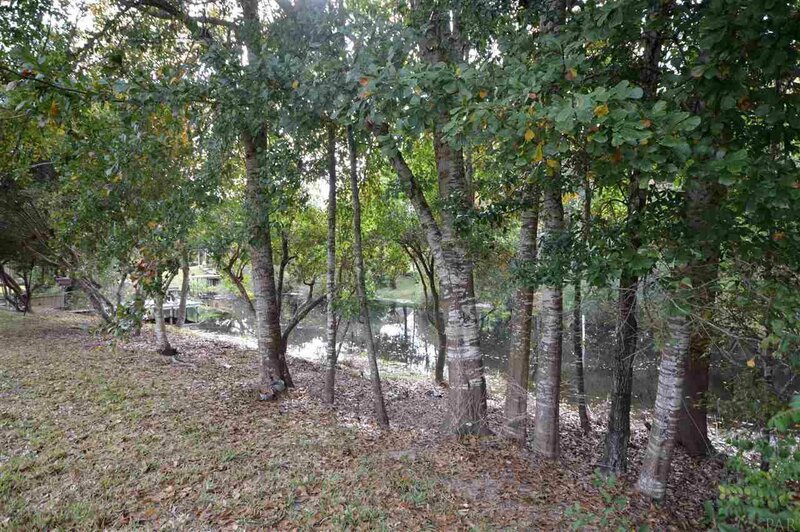 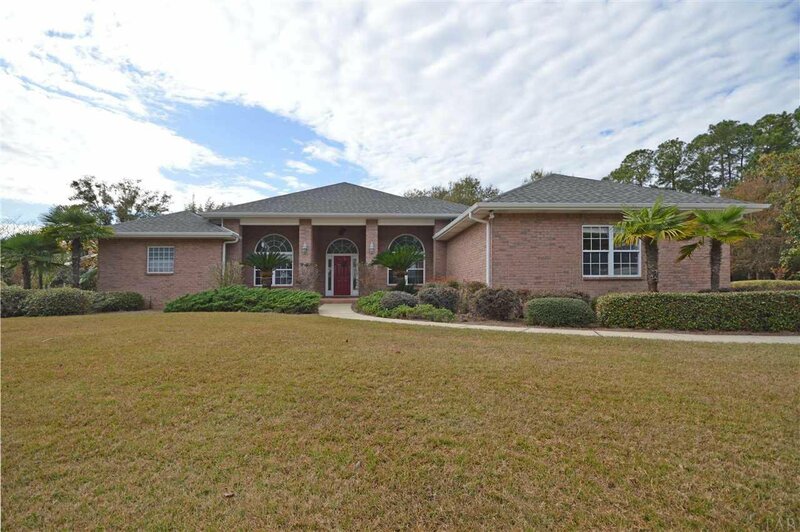 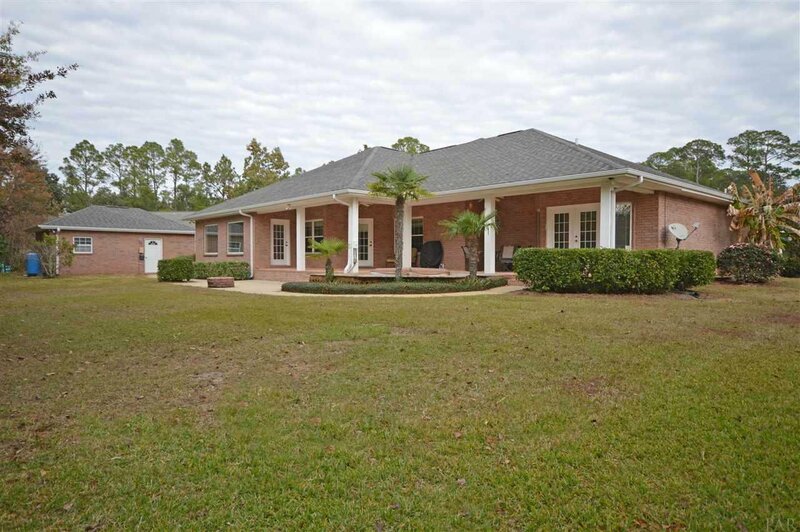 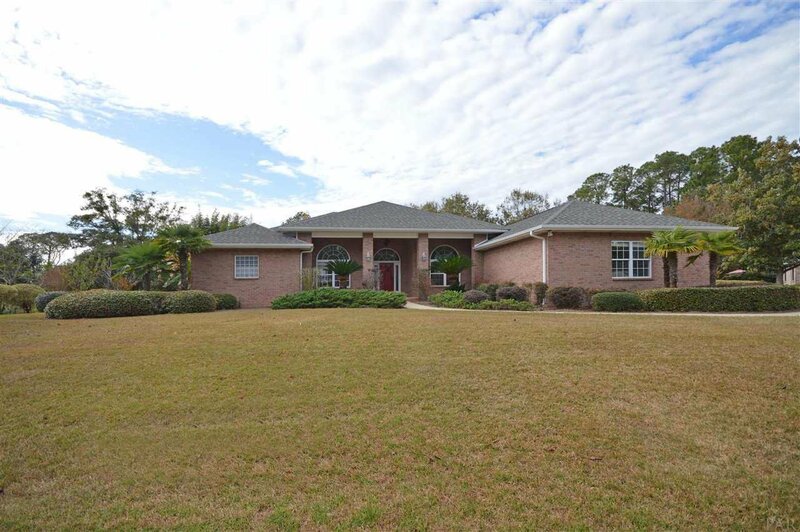 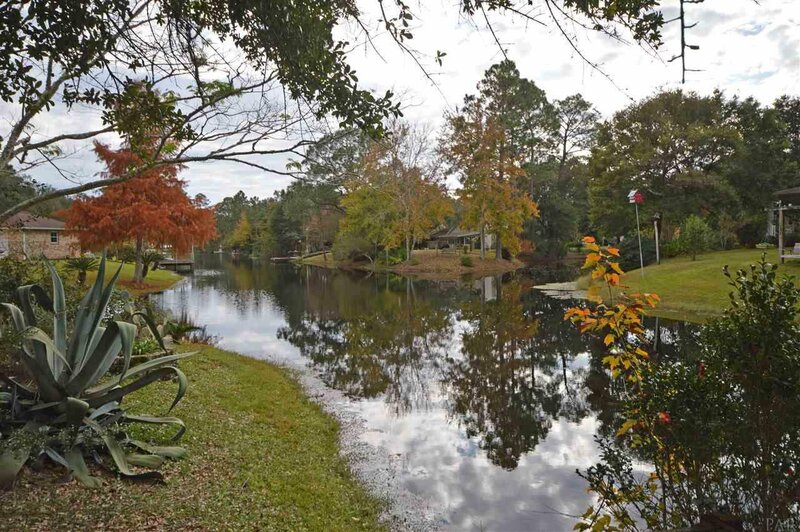 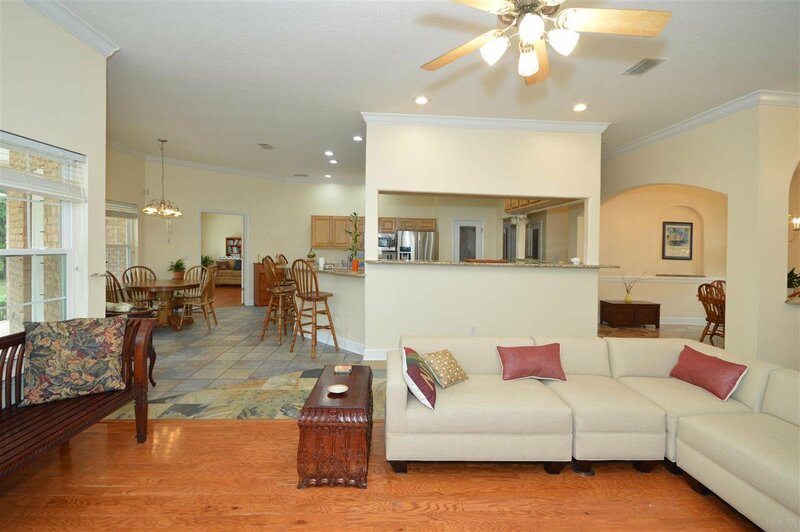 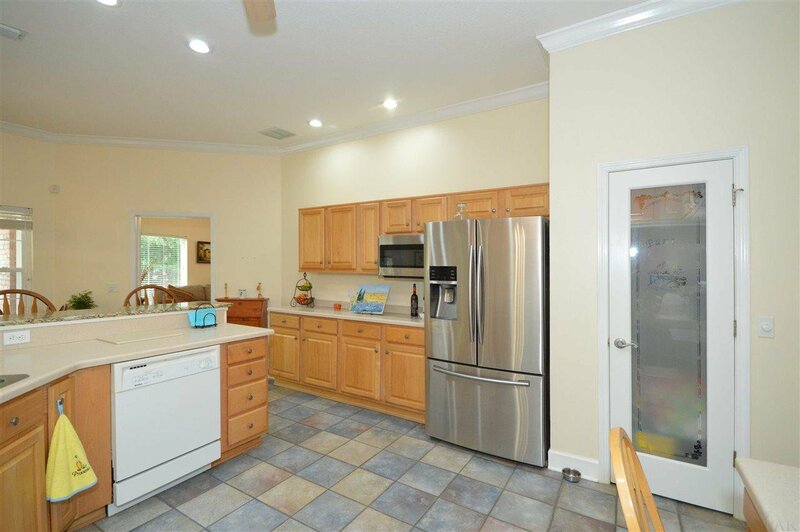 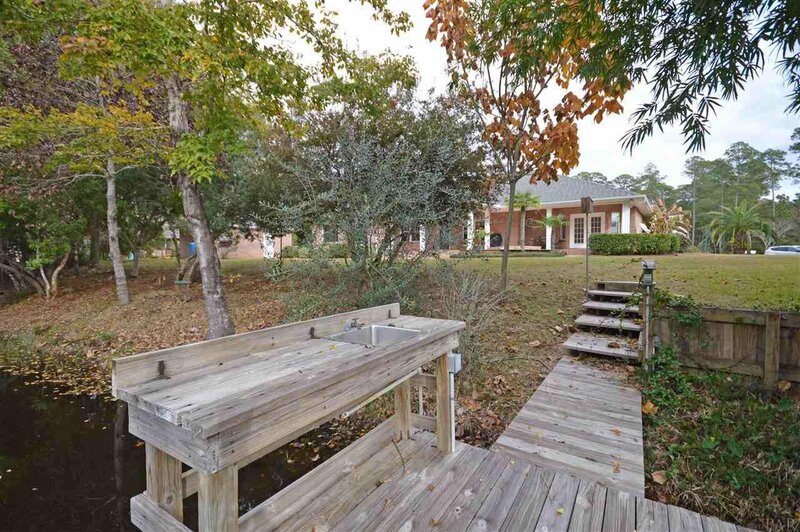 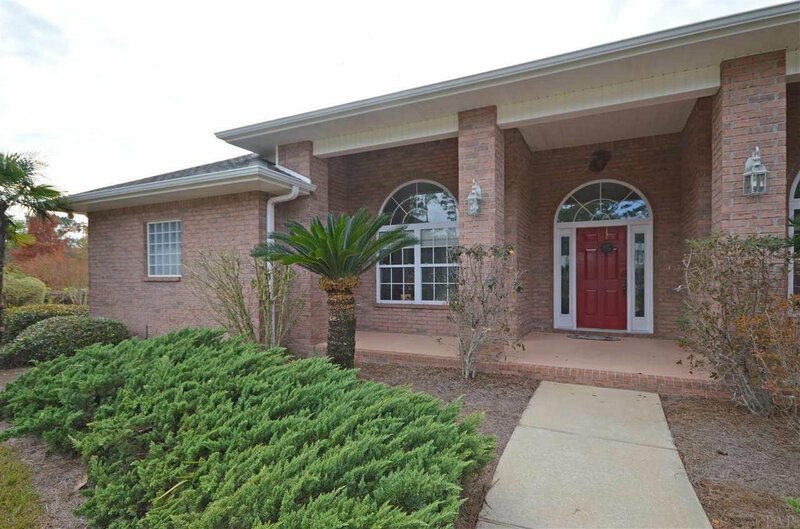 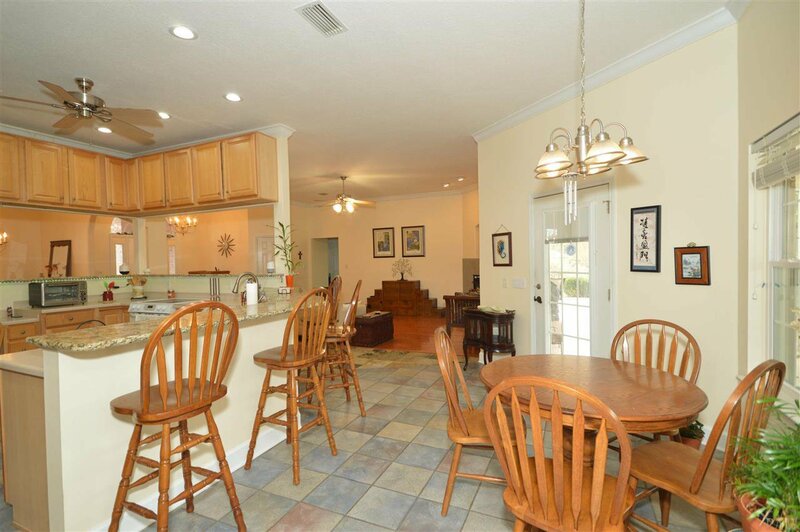 CANAL FRONT RETREAT w/ HOA DEEDED ACCESS TO BLACKWATER BAY ~ GREAT LOCATION close to I-10 ~ HOT TUB with CANAL FRONT VIEWS ~ DETACHED GARAGE ~ 3/2 PLUS OFFICE AND MEDIA ROOM ~ MOVE IN READY ~ Foyer leads to open concept family room and dining room. 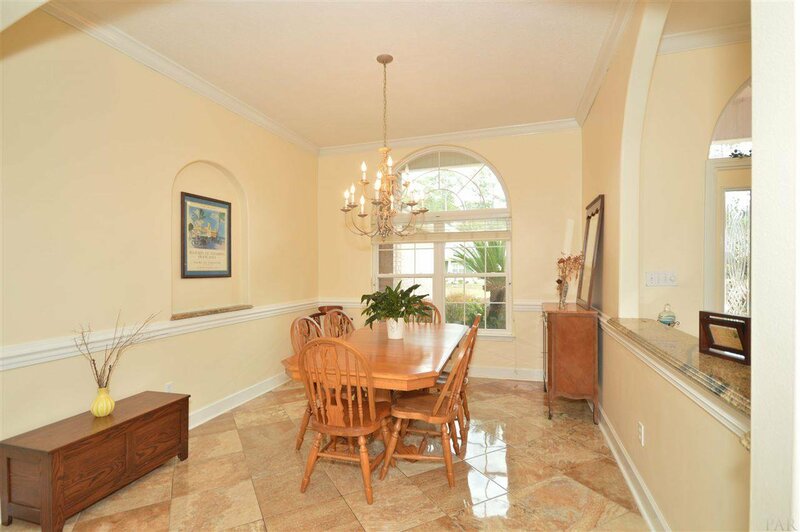 Dining room has marble look tile with chair rail and crown molding. 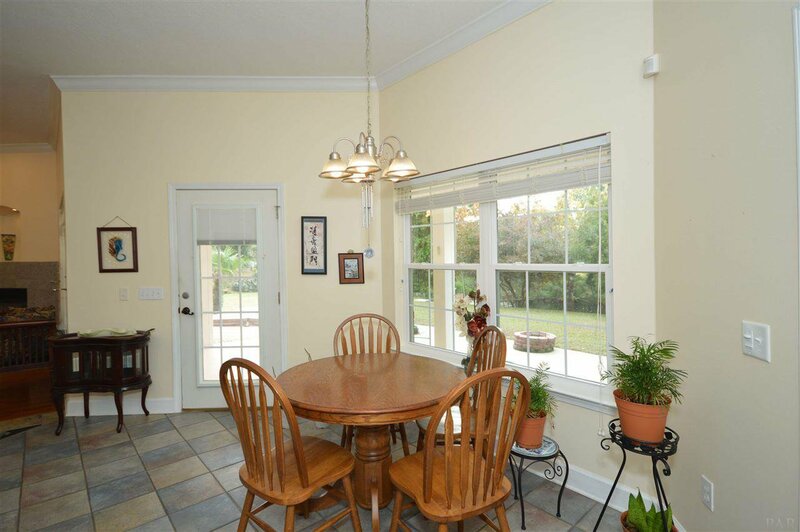 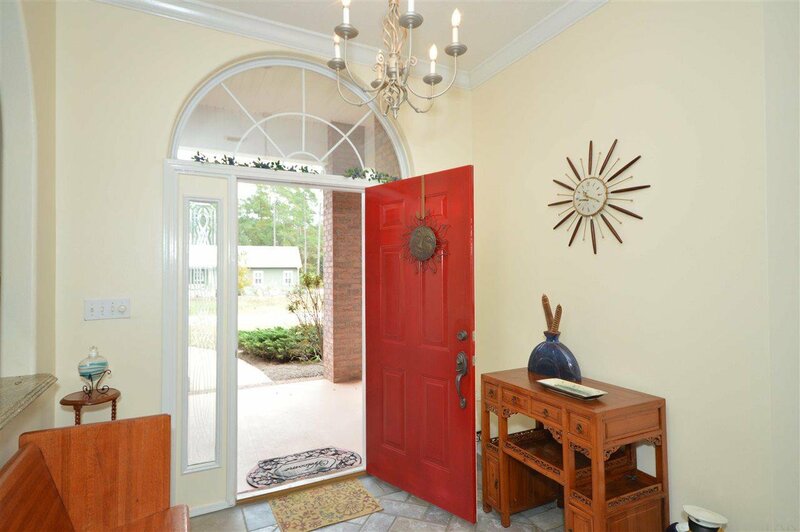 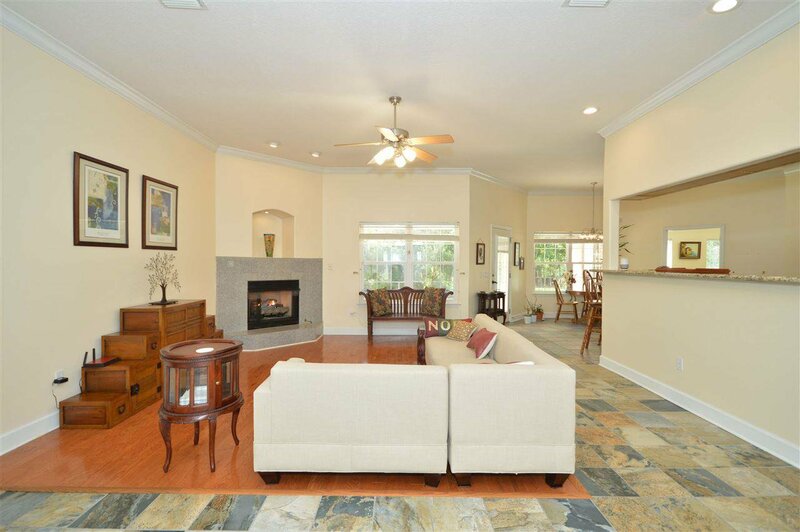 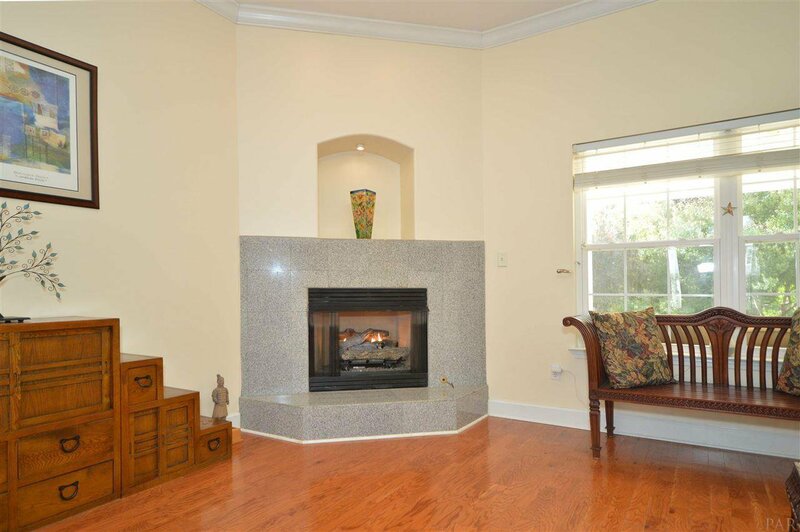 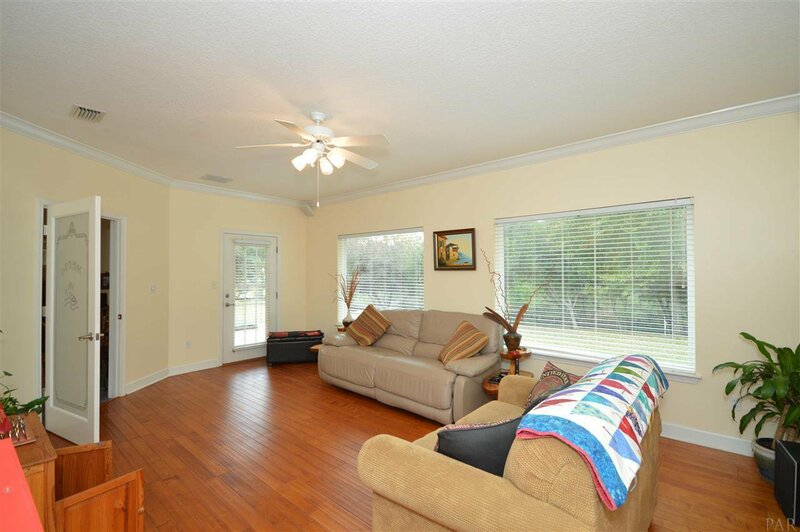 Family room has wood floors, gas fireplace, recessed lighting and is open to the kitchen. 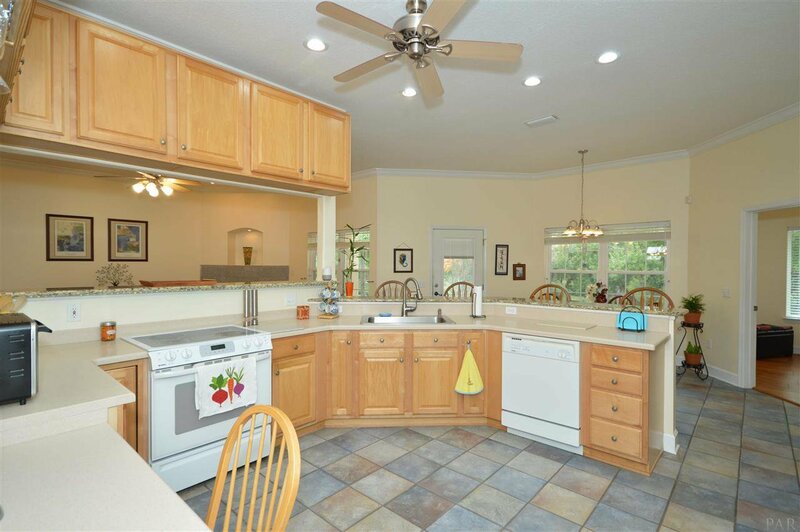 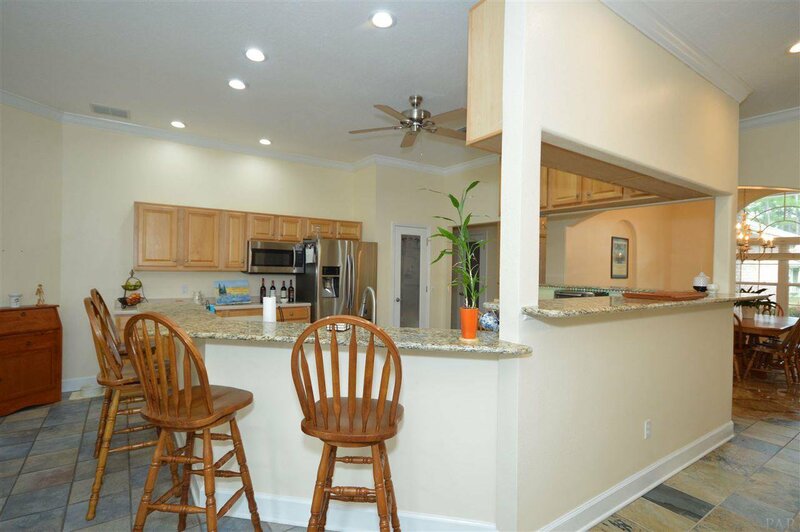 Kitchen is an entertainers delight and has everything you need – tile floors, bar area for stools, recessed lighting, beautiful maple cabinets, under counter LED lighting (with remote), pantry with custom frosted glass door, built in microwave, plenty of counter space plus desk area. 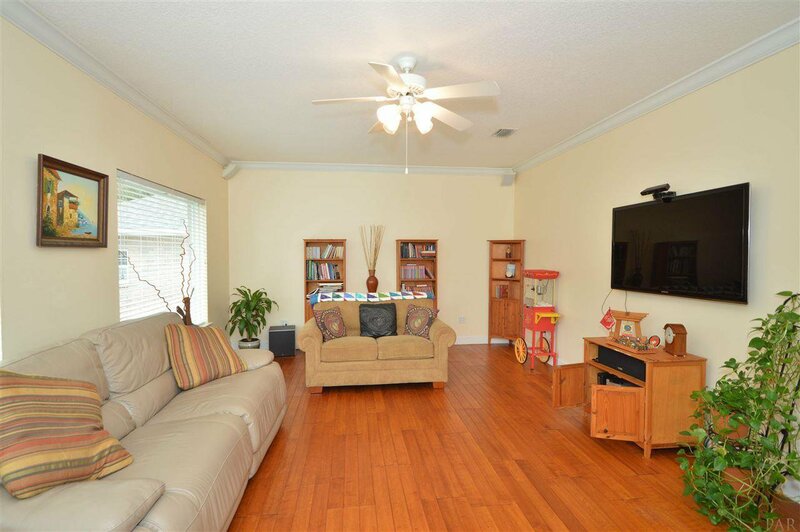 Media room is off the kitchen and also has wood floors, crown molding, surround sound speakers & door leading to the outdoor lanai. 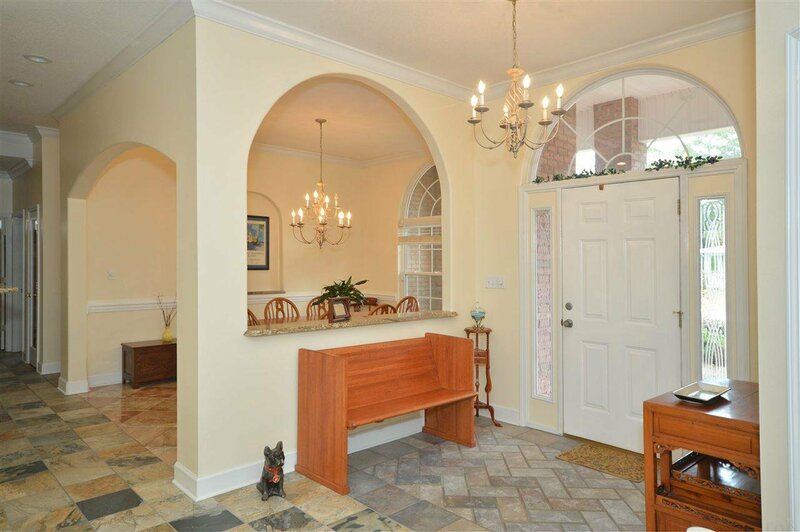 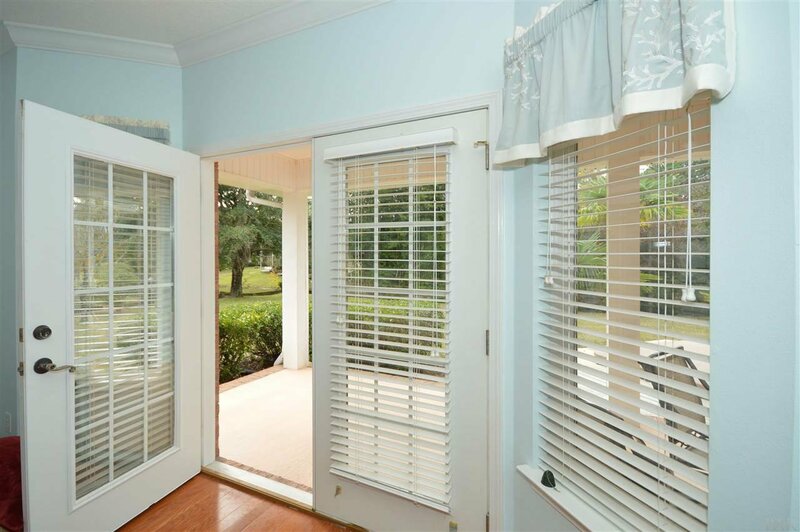 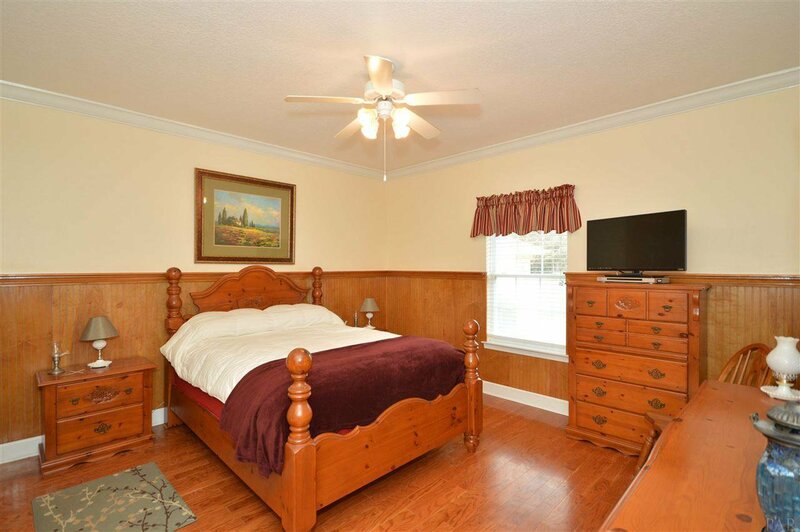 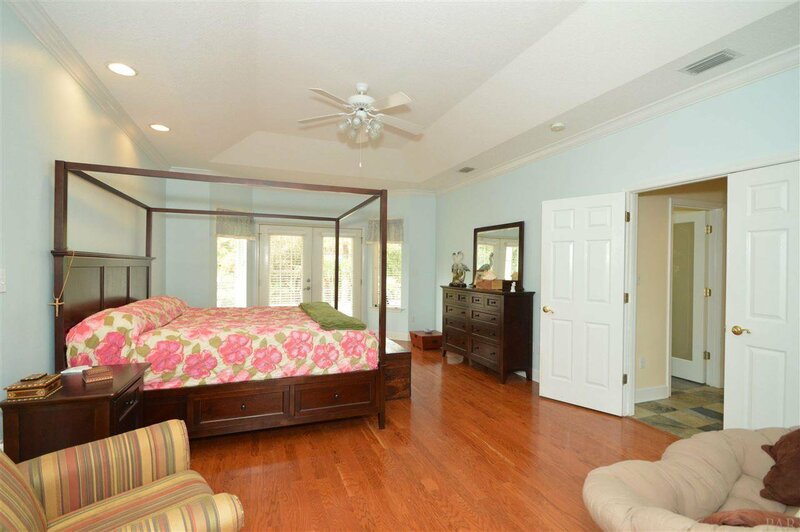 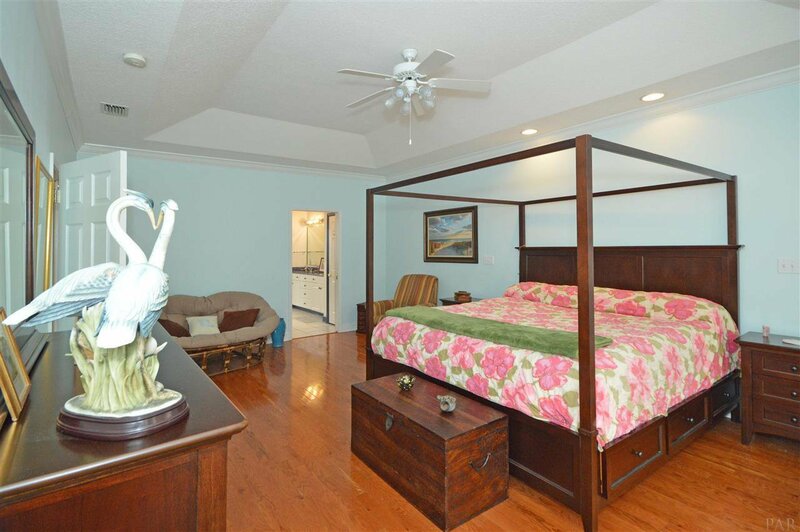 Master bedroom has double door entry off the hallway with wood floors, trey ceiling, recessed lighting, plus double French door to outdoor lanai. 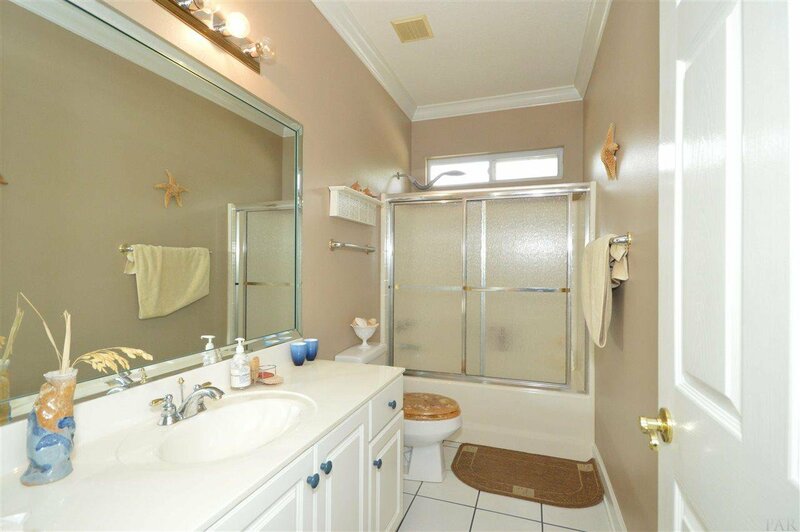 En-suite master bathroom has SAUNA/STEAM SHOWER, double vanities, water closet, jetted tub, tile floors, wall mirror for dressing area plus pocket door separation from master. 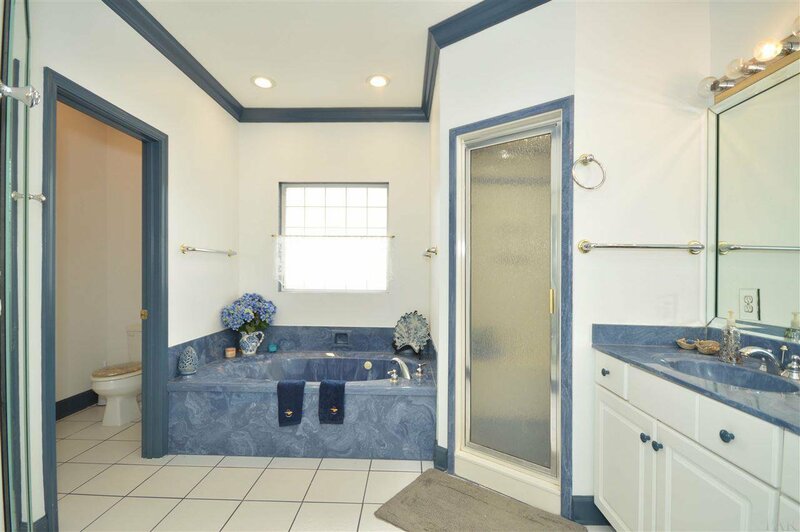 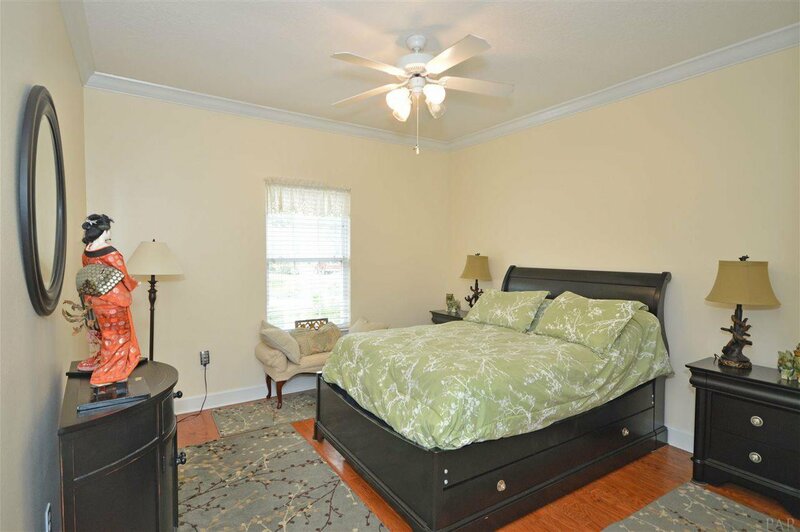 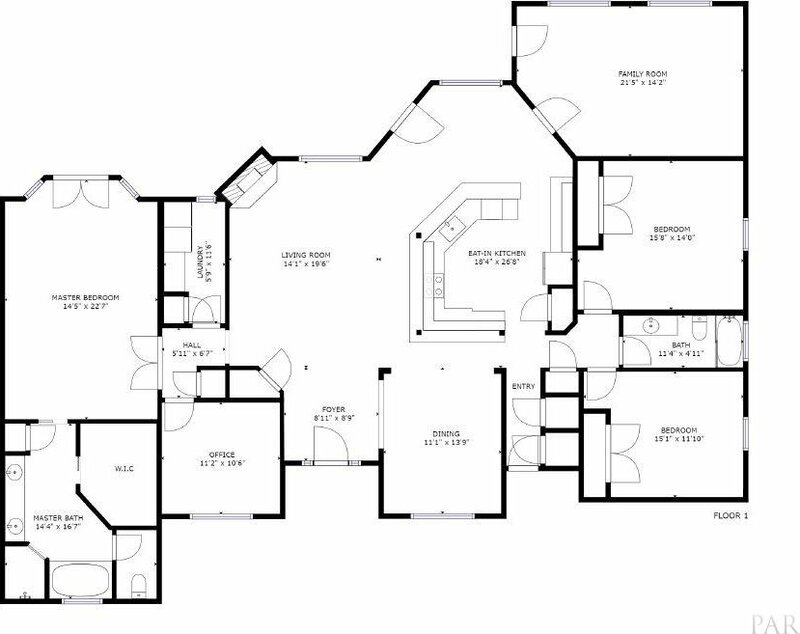 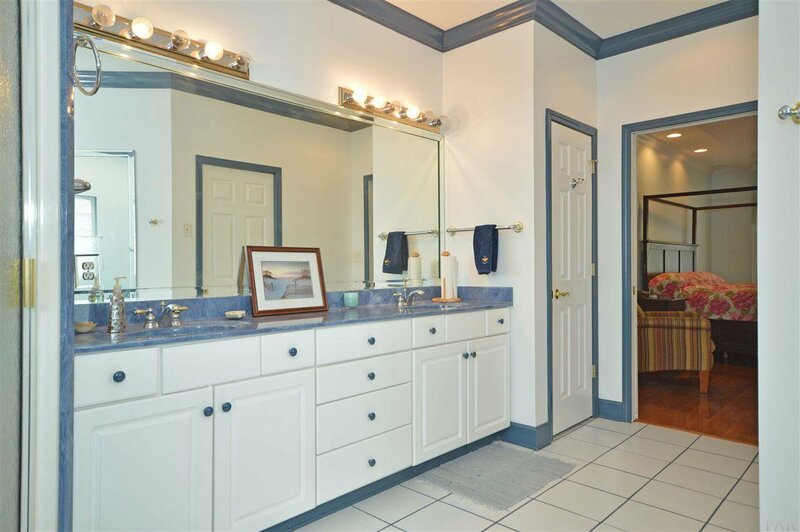 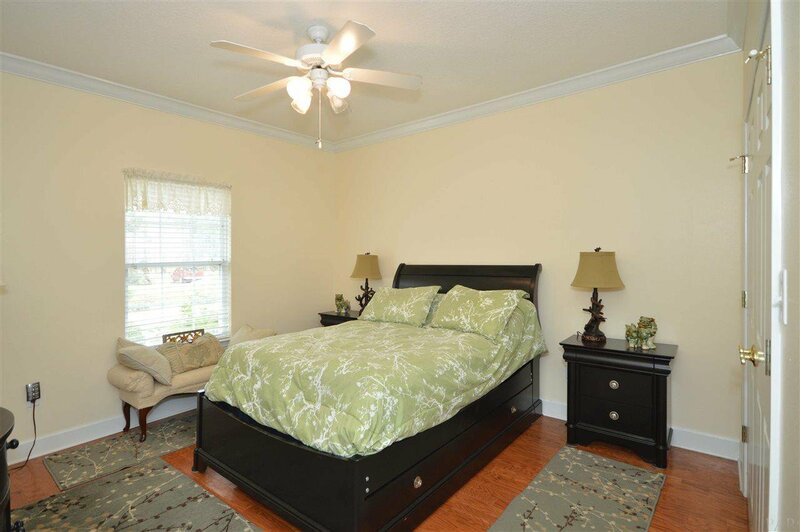 Additional 2 bedrooms with crown molding and large closets are split from the master and share a hall bath. 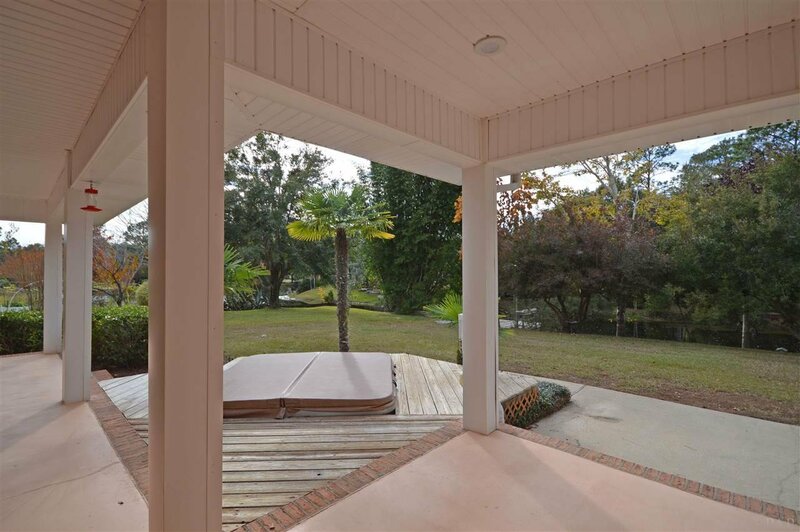 The outdoor living area of this house is a RETREAT! 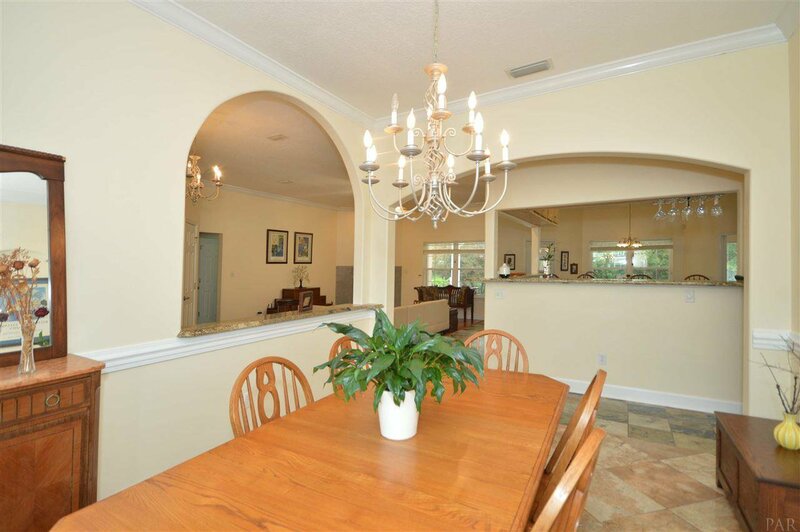 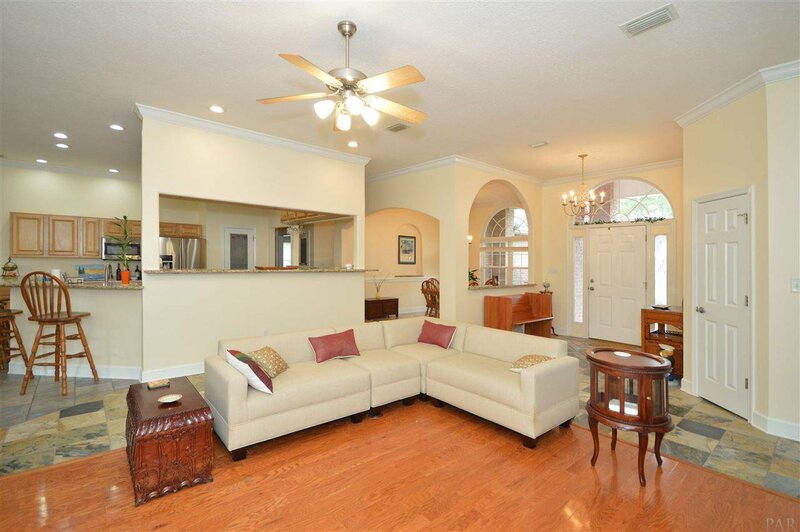 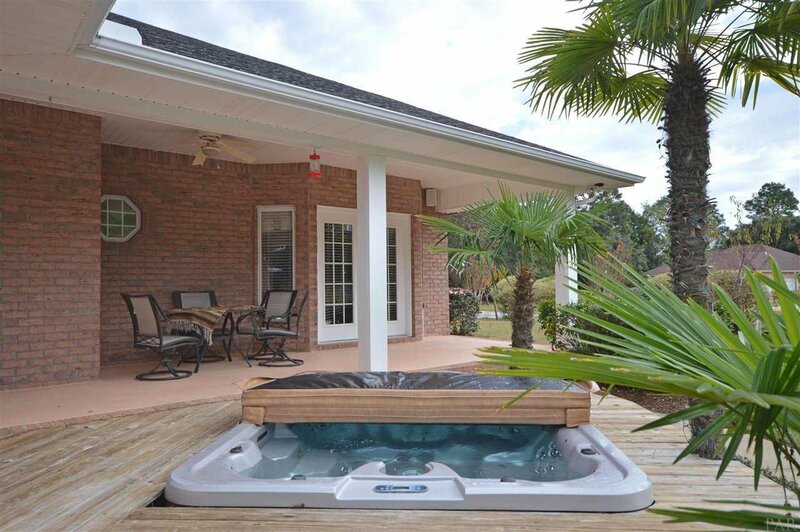 Large covered lanai across the back of the house with entry from media room family room and master bedroom lead to a great yard – you can relax in the hot tub with canal front views or fish from your PIER equipped with sink and power. 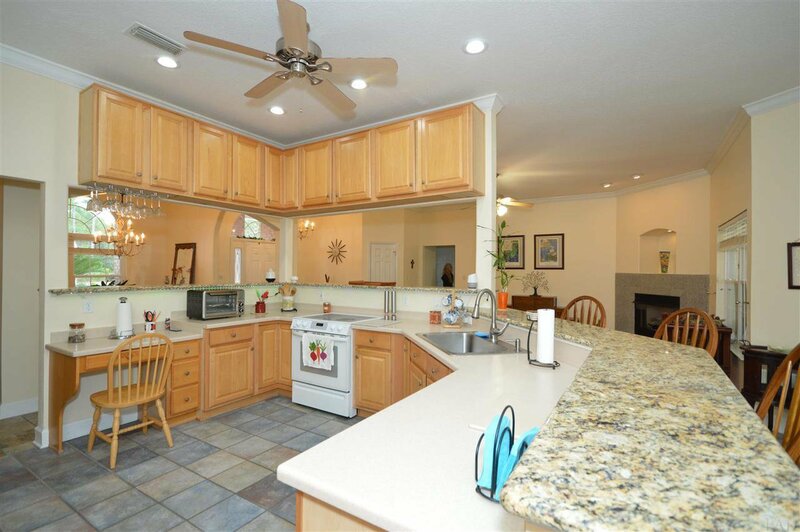 Home has 2 car garage PLUS single detached garage. 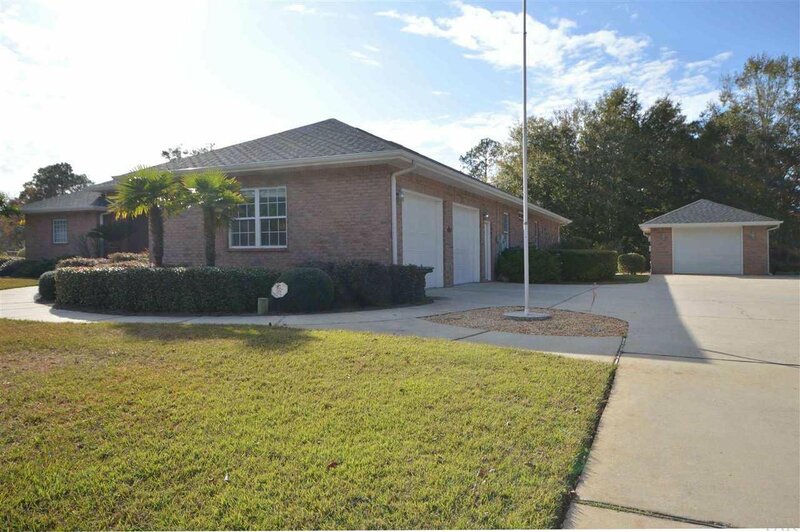 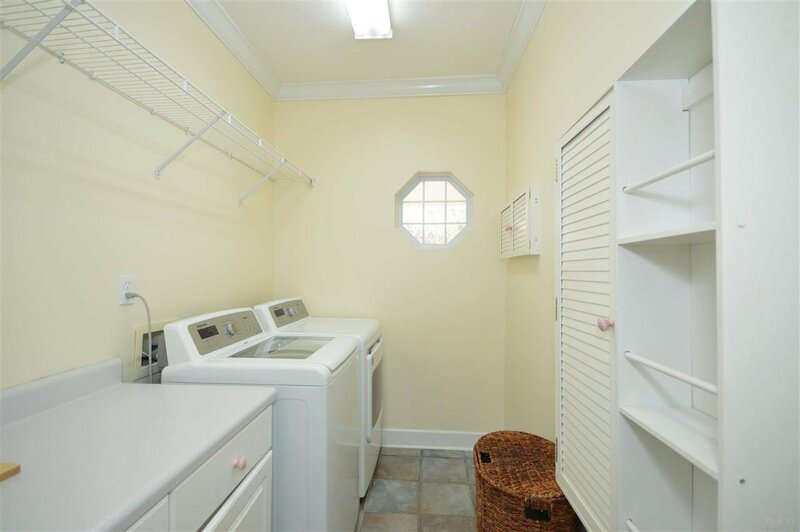 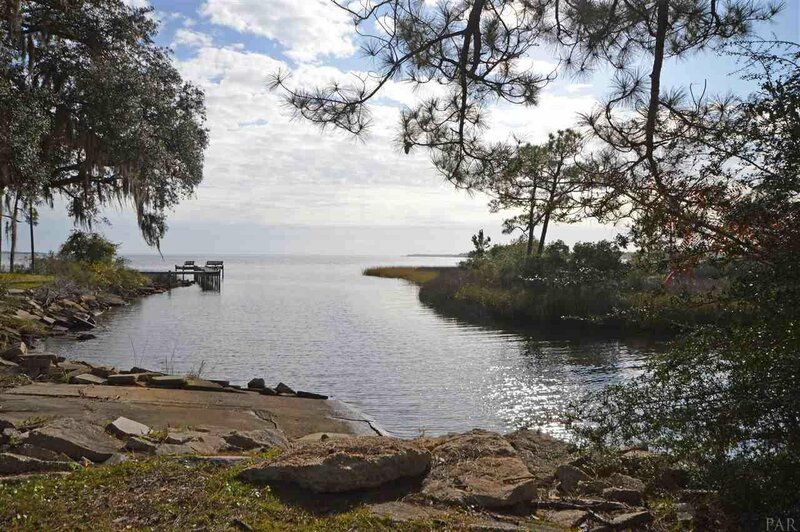 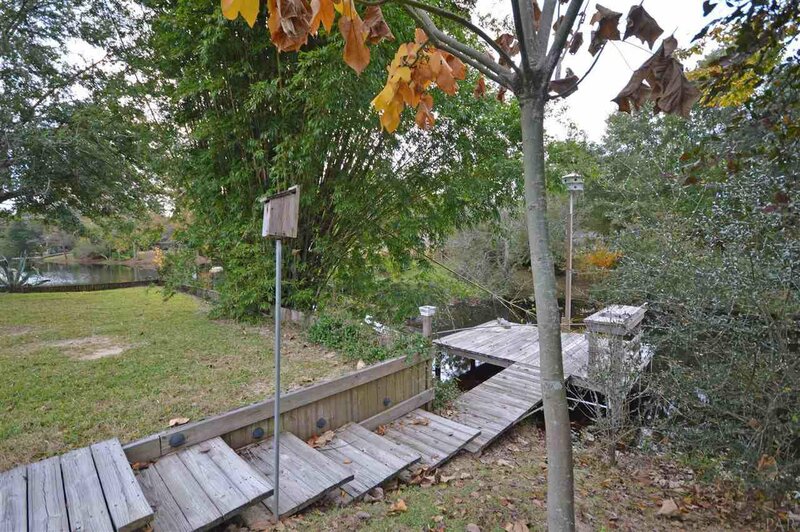 Other amenities include: office/study, HOA maintained waterfront park on Blackwater Bay, newer garage doors, new exterior door from garage, HVAC 2 years old, Termite Bond, motorhome, RV or boat storage hookup near detached garage, hurricane protection (fabric shield) for windows and MORE! 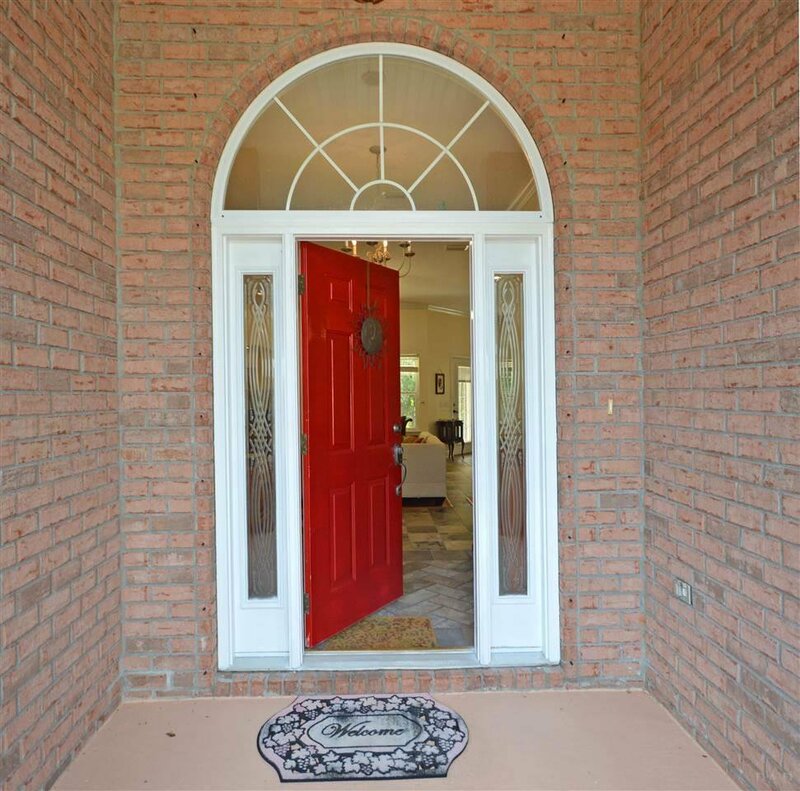 See this house quick and get your offer in!